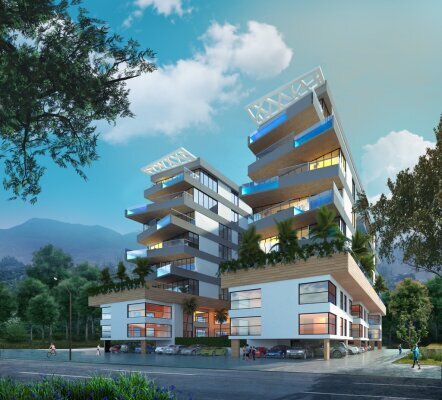 These apartments are likely to become the most luxurious single family homes in Kyrenia. The waterfront homes in our complex, located at the city center, feature a mix of beautiful, luxury homes with their own private pool & terrace. Magnificent seaview starting from the 3rd Floor. Complex is perfectly located within walking distance to Girne University. Only our complex offers such an oasis of indulgence and privilege. Resorts, shops, restaurants, spas and the beach in one square km around.